There's only a handful of Christmas shopping days left. If you're still unsure what to get for the Toronto-based cocktail lover in your life, then don't worry because I've scoured the city to compile a list of 10 great gifts that will suit any budget and level of commitment to their home bar. Here are my top picks for gifts for the cocktail lover on your list. After discovering Toronto's Bar40 Bitters very recently, I've have been completely won over by their tastebud-centric approach to making cocktail ingredients. You'll get free shipping if you order all four together, which should be enough to kickstart any home bar project. Hyper-local is where it's currently at, with someone on your street probably maturing their own cocktail bitters as we speak. Stay ahead of the curve by getting your bar enthusiast friends this fantastic volume, which takes home-made to the next level. Incorporating a step-by-step guide on home distilling, as well as imparting a wealth of knowledge on whiskey in general, you'll have your friends and family blowing up the garage before Boxing Day. Operating from a tin shed off the highway in Niagara, Dillon's just keep coming out with fabulous beverages and bitters, all using locally sourced ingredients. Getting hold of a bottle of the new Rose Gin is nigh on impossible, but the staff over at their store have put together all sorts of lovely gift baskets. 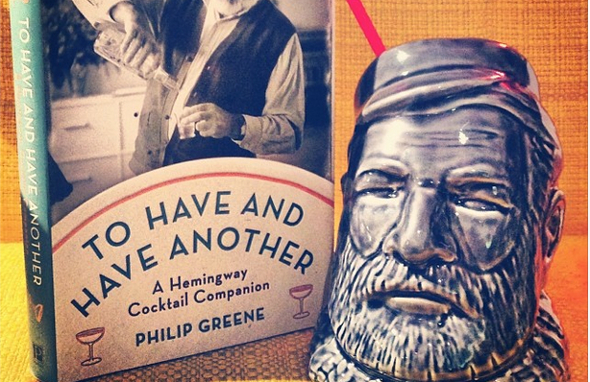 Combining alcohol and literature, this might be the best mug I've ever seen. BYOB have a knack for finding awesome barware, and any cocktail aficionado is going to want to start their day peering into the skull of the most inspirational of booze-hounds. The cocktail book is a worthy gift in its own right, featuring history and recipes of all the drinks in both Hemingway's books and his colourful life. We've already covered a gift that'll teach someone to make their own whiskey, but mellowing moonshine takes good old fashioned American Oak. Crafty Bartender have a number of sizes, ranging from 1- 5 litres, this one provides a good start. Alternatively, follow the trend by barrel-aging your Manhattans or Negronis for a really smooth drink. Tiki drinks turn any cold night into a holiday in the sun, and, as such, it's any home bar enthusiast's duty to make sure they are well enough stocked to make a convincing Mai Tai or Zombie at home. Toronto Institute of Bartending has these beautiful packages of funky glassware to get people in the mood. 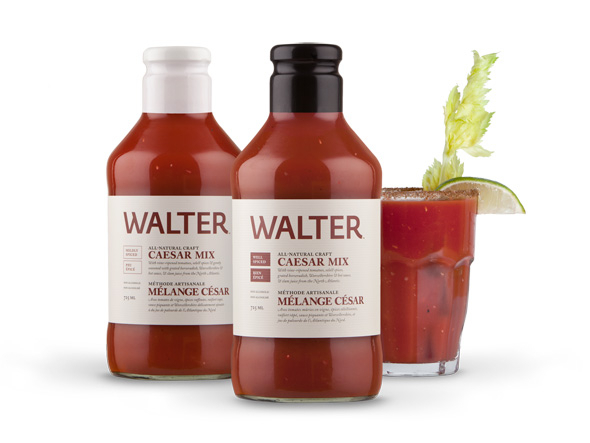 No family Christmas breakfast is bearable without at least a few cheeky caesars to get the motor running, and Canadian company Walter have introduced an MSG-free, pre-spiced clamato to make a cocktail worthy of the occasion. You can find this stuff at a few spots around the city, but The Mercantile in Roncesvalles is a shop you should probably be checking out anyway. Running at a cool $285 per year, this one's for the guy (or girl) who truly has everything. Many of the city's best mixologists have passed through this College Street sanctuary since it opened in 2010, and with Oliver Stern and Robin Kaufman at the helm, you're guaranteed incredible service, beautiful drinks as well as some great gypsy jazz playing in the background. 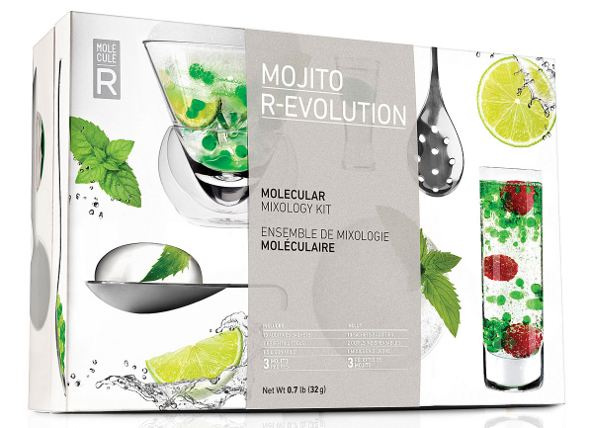 Whilst the molecular fad has passed a little, these fun little kits still teach all sorts of neat tricks about how to tinker with booze. Ideal for those that asked for chemistry sets when they were kids. Ask any home bartender what they hate doing the most, and the overwhelming answer will relate to smashing a bag full of ice with a rolling pin, which happens every time someone asks for a mint julep. These things used to cost a fortune, but it appears that Williams Sonoma have found a great one by Waring that won't break the bank.